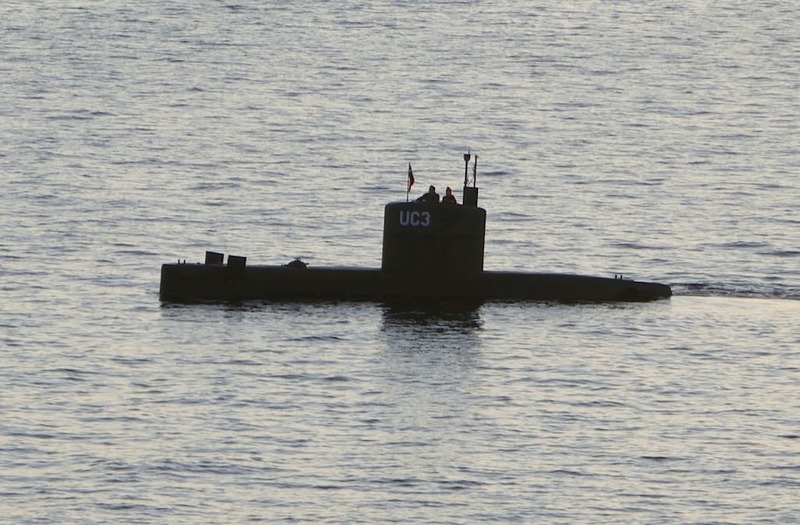 COPENHAGEN, Aug 21 (Reuters) - A headless female torso was found on Monday in the water's edge in Copenhagen, hours after a Danish inventor charged with killing a journalist in his home-made submarine told a court she died on board, police said. Peter Madsen told the court that Swedish journalist Kim Wall had died in an accident and he had buried her at sea, changing his earlier statement the he dropped her off alive in Copenhagen. Police later told a press conference that it was still too early to identify the body - missing its head, legs and arms - that was found by a passing cyclist. Members of the Danish Emergency Management Agency (DEMA) assist police in the search in the Kim Wall case at Kalvebod Faelled in Copenhagen, Denmark, August 23, 2017. Scanpix Denmark/Martin Sylvest/ via REUTERS ATTENTION EDITORS - THIS IMAGE WAS PROVIDED BY A THIRD PARTY. DENMARK OUT. NO COMMERCIAL OR EDITORIAL SALES IN DENMARK. Danish submarine owner and inventor Peter Madsen lands with the help of the Danish defence in Dragor Harbor south of Copenhagen, Denmark August 11, 2017. Scanpix Denmark/Bax Lindhardt/via REUTERS ATTENTION EDITORS - THIS IMAGE WAS PROVIDED BY A THIRD PARTY. DENMARK OUT. NO COMMERCIAL OR EDITORIAL SALES IN DENMARK. Peter Madsen, Danish inventor, engineer, rocket- and u-boat builder, talks about entrepreneurship during Danish Business Day event held in Copenhagen, Denmark, May 9, 2017. Scanpix Denmark/Ida Marie Odgaard/via REUTERS ATTENTION EDITORS - THIS IMAGE WAS PROVIDED BY A THIRD PARTY. DENMARK OUT. NO COMMERCIAL OR EDITORIAL SALES IN DENMARK. Danish submarine owner and inventor Peter Madsen lands with the help of the Danish defence in Dragor Harbor south of Copenhagen, Denmark August 11, 2017. Picture taken August 11, 2017. 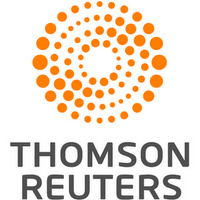 Scanpix Denmark/Bax Lindhardt/via REUTERS ATTENTION EDITORS - THIS IMAGE WAS PROVIDED BY A THIRD PARTY. DENMARK OUT. Members of the Danish Emergency Management Agency (DEMA) (Danish: Beredskabsstyrelsen) assist police at Kalvebod Faelled in search of missing body parts of journalist Kim Wall close to the site where her torso was found, in Copenhagen, Denmark, August 23, 2017. Scanpix Denmark/Martin Sylvest/via REUTERS ATTENTION EDITORS - THIS IMAGE WAS PROVIDED BY A THIRD PARTY. DENMARK OUT. Members of the Danish Emergency Management Agency (DEMA) (Danish: Beredskabsstyrelsen) assist police at Kalvebod Faelled in Copenhagen on August 23 2017 in search of missing bodyparts of journalist Kim Wall close to the site where her torso was found on Monday, August 21. Scanpix Denmark/Martin Sylvest/via REUTERS ATTENTION EDITORS - THIS IMAGE WAS PROVIDED BY A THIRD PARTY. DENMARK OUT. "It is clear that the police, like the media and everybody else, is speculating whether this female body is Kim Wall, but it is way too soon to tell," Copenhagen police spokesman Jens Moller said. The case is being followed particularly closely by Danish and Swedish media but has drawn interest from around the world. The body had been sent for forensic analysis while divers continued to search the area where it was found, Moller said. Madsen has been charged with the manslaughter of Wall who has been missing since he took her out to sea in his 17-meter submarine on Aug. 10. He denies the charge. He was rescued a day later after his UC3 Nautilus sank. Police found nobody else in the wreck. Danish and Swedish maritime authorities are using divers, sonar and helicopters in the continued search for the body in Koge Bay, south of the city, and in the Oresund Strait between the two countries. Madsen, an entrepreneur, artist, submarine builder and aerospace engineer, went before a judge on Saturday for preliminary questioning. The case is not open to the public to protect further investigation, police said.